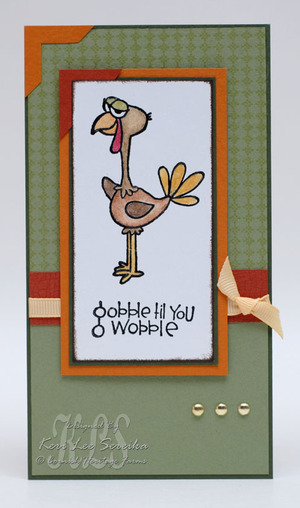 Pink Lemonade: Gobble till you Wobble!!! LOL This image from Cornish Heritage Farms newest illustrator Kim Hughes just makes me GIGGLE!! Although his image name is Cartoon Turkey, in my mind he is "Sly Guy"....he just looks like he is giving me the "Sly Guy" look, doesn't he??? I am not sure if you read the CHF Blog but Cornish Heritage Farms now has an Online Referral Program!!! Be sure to hop on over and read all about it...who wouldn't want the chance to win one of three gift certificates each month?? ?